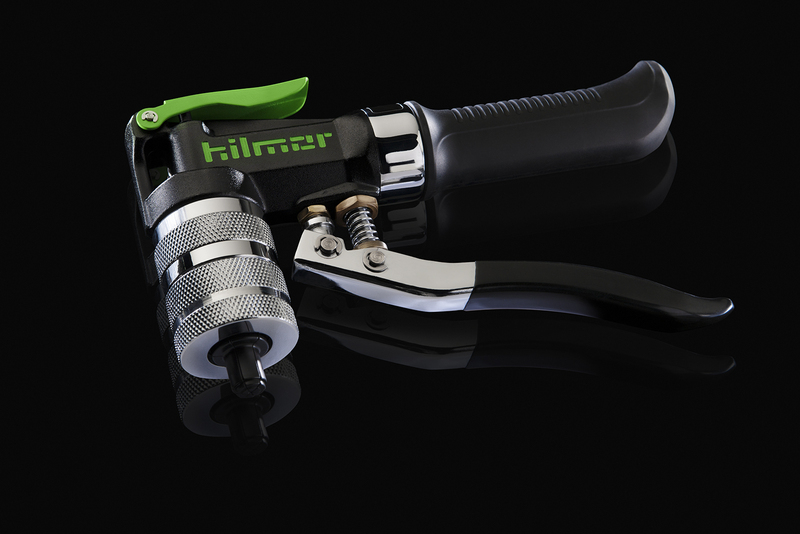 hilmor Basic Flaring Tools are the no-muss, no-fuss way to flare. A cast steel yoke and hardened flaring bar provide durability; steel wing nuts offer a secure hold; a compact design allows it to fit in cramped spaces; and a long handle offers additional leverage. Our Basic Flare handles 1/8” to 3/4” tubes. The Large Basic Flare helps you take on 3/4” to 1-1/8” tubes. The cast steel yoke and hardened flaring bar are made to be knocked around. Steel wing nuts make it easy to hold the pipe secure. A compact design allows it to be used even in cramped spaces. An extra-long handle provides more leverage and self-centers for a consistent quality flare. Tube Sizes (O.D.) 1⁄8", 3⁄16", 1⁄4", 5⁄16", 3⁄8", 1⁄2", 5⁄8", 3⁄4"
Packaged Dimensions Length: 4.875", Width: .08125", Height: 9.5625"
Product Dimensions Length: 8.8", Width: 5.2", Height: 4.3", Weight: 2.35 lbs. Tube Sizes (O.D.) 3⁄4", 7⁄8", 11⁄8"
Packaged Dimensions Length: 8.5", Width: 1.75", Height: 6"
That is why we guarantee our tube-working tools, including benders, flaring and swaging tools to be free of material and workmanship defects for the lifetime of the tool. Imperial 203-FA 5/8”, 3/4”, 7/8” and 1-1/8” O.D. tubing. 3.75 lbs. Yellow Jacket 60278 Deluxe flaring tool for 1/8” to 3/4” O.D.